Users with DB Management permission have the ability to create other admin-side users for their camp's CampSite account. 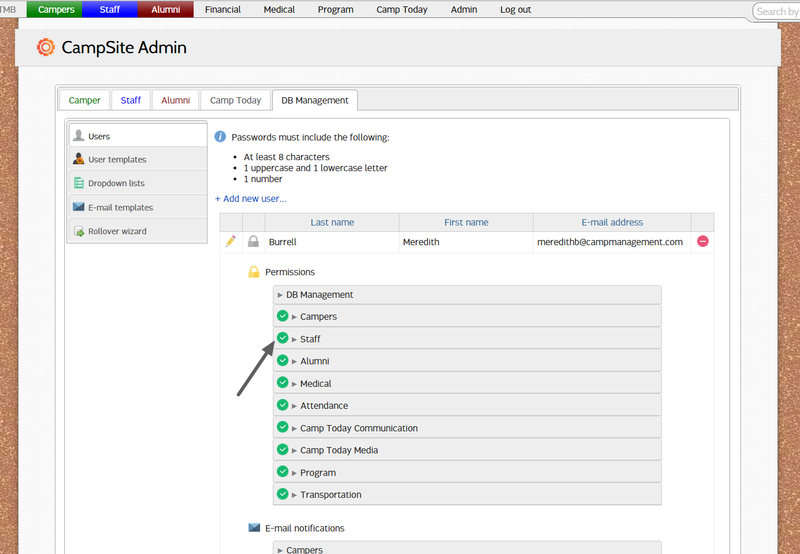 CampSite's permissions model allows you to easily set up User Templates for common permissions roles. 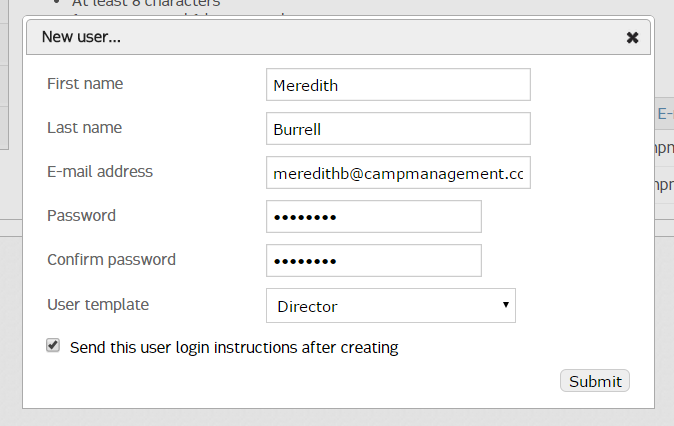 Additional users can be created in Admin > DB Management > Users. Click +Add new user... to create an additional login. Enter the user's login credentials. Passwords must be a minimum of 8 characters with at least one uppercase and one lowercase letter, and one number. The green checkmarks indicate the user has access to the module. Clicking a section will display the specific permissions that can be granted within each module.